Home is where the craft is.....: We all need a little Serenity in our lives. There are time in our lives where we all need a little serenity and yesterday was one of them. 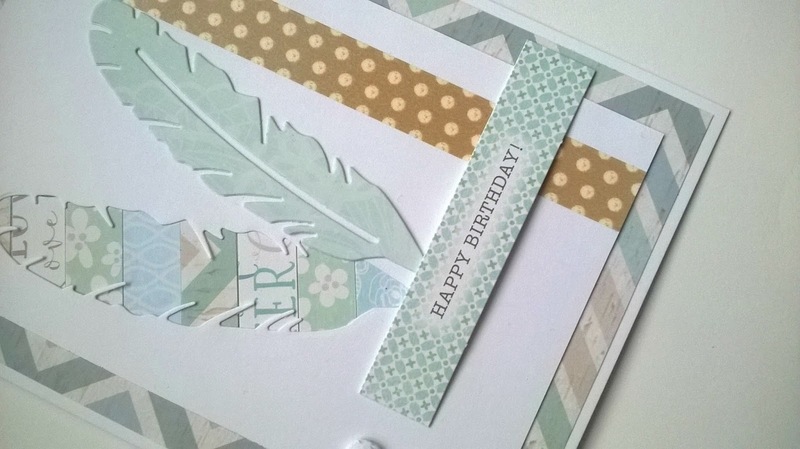 I needed a little me time and wanted to chill out so grabbed my Serenity kit from Craftwork Cards and set about making a couple of cards. This first card is so clean and calm. I love the colours and feel. 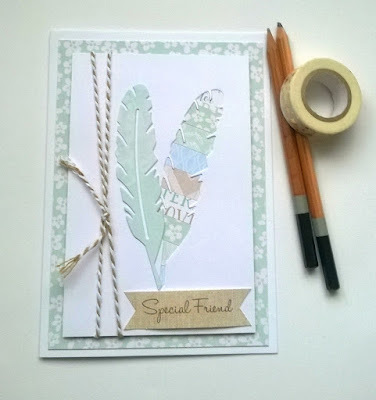 I used some off cuts which I made a back ground with, I then cut a panel of white card and die cut a feather from it, I placed this over the background I made and added another die cut feather from one of the papers in the kit. 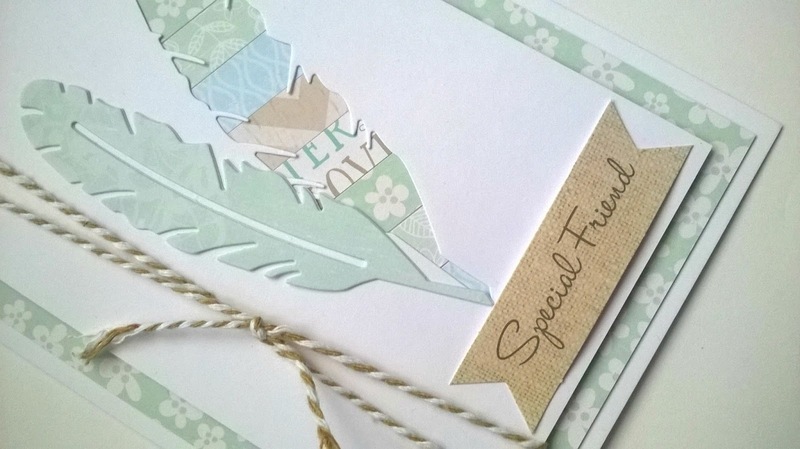 I added some twine and a die cut sentiment then layered this on to some pattered paper and then onto a card blank. 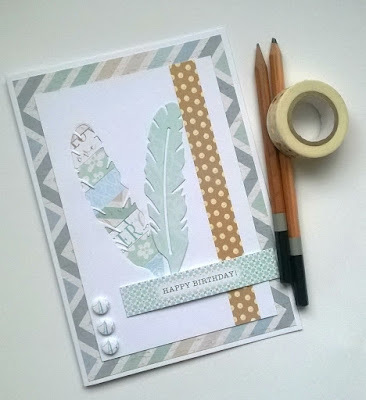 I chose to use different paper and added some washi tape this time but kept the overall theme the same. I only have a little left from this kit but I know I will be using it up really soon.